Ho Ah Chon specialised in recording the 20th century history of Sarawak by republishing local newspaper reports of the time. 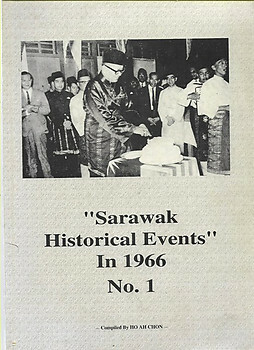 Here he presents extracts from Sarawak by the Week for the year 1966. The text is accompanied by numerous black and white photographs. Near Fine Paperback First Edition. 153 pages. Condition: Apart from minimal cover wear, the book looks new.